Bubbles and a rainy day. 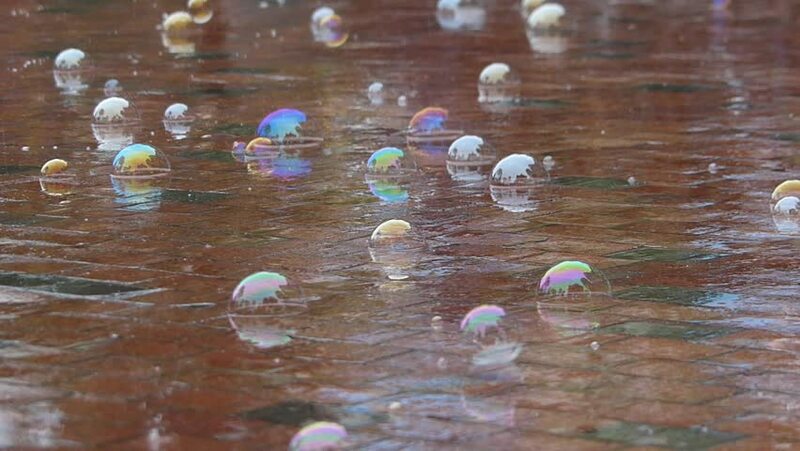 _ 1 / Taken at theme parks in Hokkaido, Japan in October 4, 2014 / How the bubbles dancing in the background the theme park on a rainy day. hd00:18Back view of father and son on the beach holding hands and walking along the shore at sunset. 4k00:29A flock of ducks, seaguls and crows on the ice in winter Moscow. It's struggle for life.